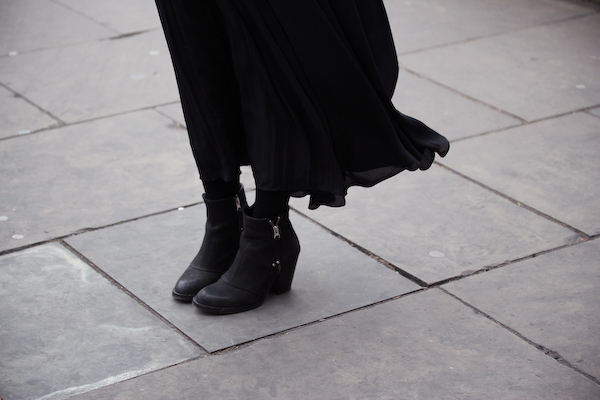 We headed down to Somerset House on Day Two of London Fashion Week to snap some shots of people in their fashion week getups. It’s amazing how people really put their balls out there in the name of fashion - as in shoulder/leg/everything-baring outfits when it’s 5 degrees out. I on the other hand have no such balls. 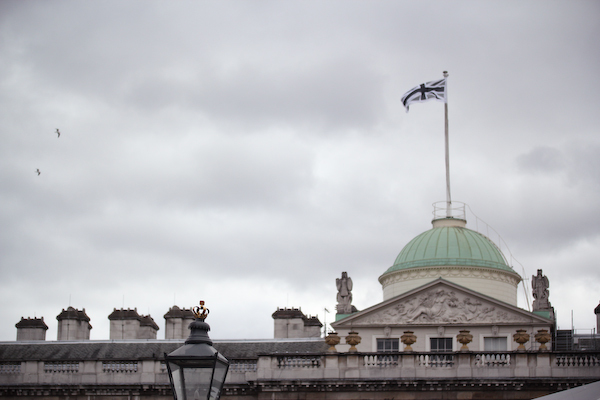 Like Shini, we also noticed that the flag on top of Somerset House is black and white - freaky deaky.